We have giloy herb in stock. In Sanskrit, Giloy is known as ‘Amrita’, which literally translates to ‘the root of immortality’, because of its abundant medicinal properties. 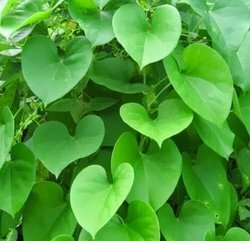 Tinospora Cordifolia (Guduchi) is indigenous to the tropical region of India. It is used in various applications of herbal and cosmetic preparations. The extract is supplied with bitters up to 3%. 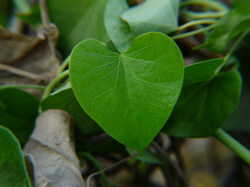 Description: Tinospora Cordifolia is a large, climbing shrub. This plant has hermaphrodite flowers. Helpful in building up the immune system and the body's confrontation against definite infecting organisms. Use for soothing inflamed and injured mucous membranes in the digestive tract. It is also used in stomach ulcer, urinary affections, vitalizer and remedy for diabetes and metabolic disorders. Other Names: Giloy, Tinospora cordifolia, Guduchi.